Around 5 minutes’ walk from St James’s Park, the 2 Bed Room Apartment offers self-catering accommodation in London. This apartment has free Wi-Fi. 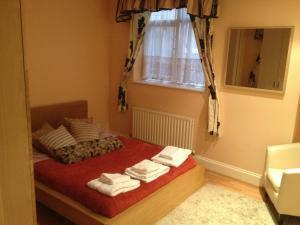 The property has 2 double bedrooms and a bathroom with bath, shower, hairdryer and toiletries. See all London Property Apartment reviews..